Do you remember black and white TV? When only yuppies had mobile phones and they were the size of bricks? Remember when computers came in and how they have shrunk in size? When we posted letters …there was no email or Skype! Technology has not just advanced at a rapid pace on land and still is but it has at sea for both racers and those who cruise! The sea, the oceans are still the same they can be calm with light winds or whip up an absolute frenzy with violent storms and everything in between. The sailboats, whether catamaran, racing yachts or a yacht for the average sailor who enjoys cruising still have the same basic equipment like the sails, masts and ropes, all ways to harness the power of the wind. In design the majority of cruising yachts are roomer, some are beamer, have more head room and fit in more cabins, bathrooms with a modern design. They have lighter displacement hulls which give them better performance and are excellent cruising boats. Racing yachts especially round the world racers boggle the mind and I can’t comment on them …if I did by to-morrow there would be more advances in design and technology. All I can say is about another change … the number of gutsy females that are involved in this type of racing now! In times gone by a lot of cruising sailboats didn’t have the basics …like a toilet it was ‘bucket and shuck’ …proper galleys, fresh water was in tanks or jerry cans, and things were inclined to be cramped down below. 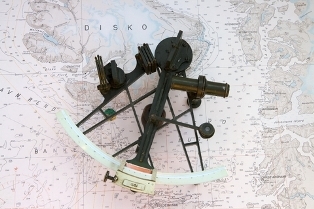 They navigated by the stars; celestial navigation and used a sextant and charts. There was no communication once you’d left shore, and little safety equipment was available, so it was up to your skills and seamanship to reach your destination safely. Many didn’t have a motor or power of any sort. Some purists still like to travel this way even to-day! 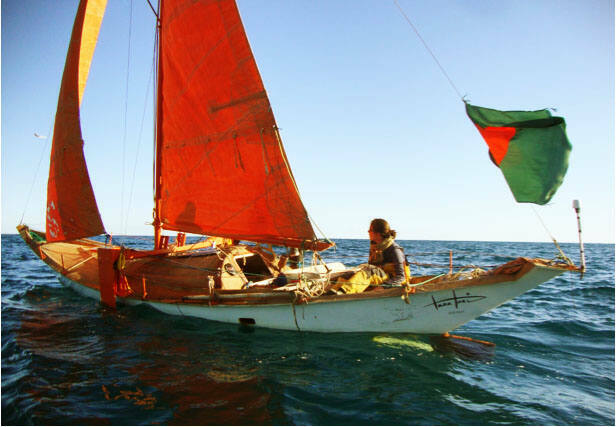 A French lady Capucine Trochet has been sailing a tiny and primitive boat off shore; it is a fishing boat built in Bangladesh. It’s built using natural jute fibre and recycled materials, it has no motor, and absolutely no mod cons on board its tiny cabin. Yes the design of cruising yachts has advanced significantly and they have a lot of home comforts, as well as power and the availability of fresh water with water makers. Battery power and generators run not only our engine but all our technical and safety equipment, we can communicate with the world including friends and family. Have TV’s, computers, hot showers, refrigeration to make galley provisioning easier; almost anything you have in a land based home. The biggest advances in technology are in safety equipment and communication. Consider just a few that are now just standard, that we wouldn’t or are required by law not to leave shore without. 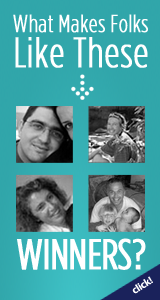 EPIRB including personal ones, give instant access to the best rescue facilities available worldwide. 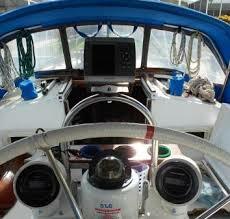 Radio and satellite systems, VHF for local and HF for off shore voyages. Computers with HF links … Weather Fax information can be received. Auto Pilots give shorthanded sailors a break from the wheel or tiller. Depth Sounders, Speed and Wind direction instruments. Furling Systems for your sails makes life easier. 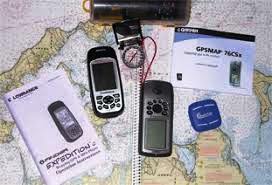 Satellite Phones to keep in touch. Solar Panels and Wind Generators are the norm. Modern well equipped Life Rafts. And the list goes on …I’m sure you can think of a lot more than these, and they are improving all the time! But never let us forget that a lot of modern technology takes power to run it … so what if our batteries all failed … we were swamped in a storm by a big wave … or ‘whatever.’ Then what? 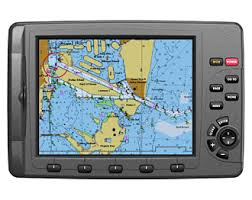 We may have to revert to charts, compass and basic seamanship so it is wise to never let go of these skills and use technology in conjunction with them. And it is the power of nature …the wind and the sea that we love that entices onto a boat at sea …and that’s got nothing to do with technology. Q: What caused you to retire? A: Knocked down in Force 11 gale, thrown overboard, harness held, injured shoulder, torn main sail, torn jib sail, main compass broken, all electronic instruments out, batteries lost acid, VHF radio gone. Q: By whom were you rescued? A: Made port under own steam.